A helpful tip is to add 2 cups of peeled and diced potatoes to make the soup thick and filling. 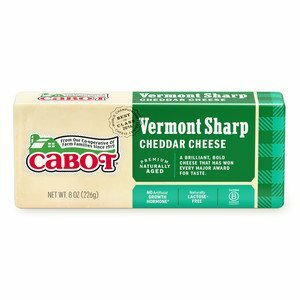 The tender potatoes will combine with the Cabot Sharp Cheddar for a flavor combination reminiscent of a loaded baked potato. The 3 cups of chopped or sliced broccoli will provide fresh veggies to the soup for a dish that is satisfyingly healthy and filling. Our broccoli cheddar soup is great on its own or you can pair it perfectly with a sandwich for a hearty lunch combination. Make sure to rate the dish and leave us your comments and reviews. 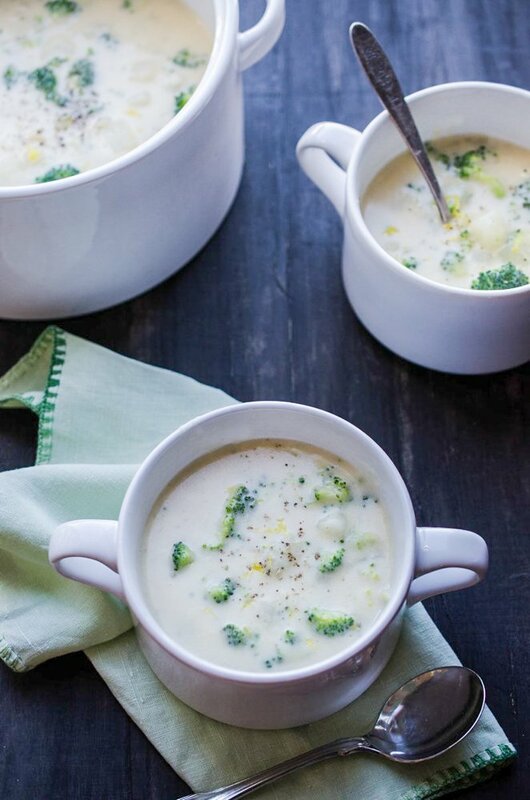 If you have any ideas on how to give the recipe a little twist, feel free to share your ideas with other broccoli cheddar soup lovers! 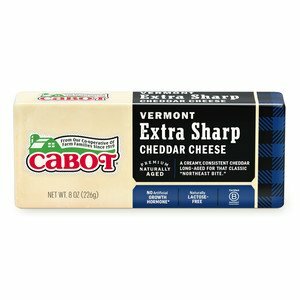 At Cabot, we're dedicated to providing high-quality dairy products and we won't rest until our customers are completely satisfied with our recipes. 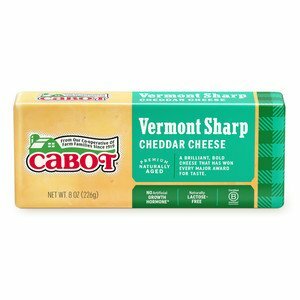 We believe that our award-winning cheddar cheeses make all the difference when cooking up a hearty bowl of broccoli cheddar soup, and we can't wait to hear how you enjoyed the dish! MELT butter over medium heat in a large saucepan. Add potatoes and onion and cook, stirring, until onion is tender, about 5 minutes. STIR in chicken broth and milk. Bring to simmer and cook until potatoes are nearly tender, about 5 minutes. Add broccoli and cook until broccoli is tender, about 5 minutes longer. I made quite a few changes to the base recipe. I added garlic and used a mix of half and half and whipping cream along with the milk to make it thicker. I used more chicken broth as well, 2 cans instead of just 1. When everything except the cheese is in the pot, I use an immersion blender to blend it all up instead of having bits of broccoli, potatoes, and onions floating in there so that it is all smooth. I added more Extra Sharp Cheddar Cheese, 16 oz, and I was able to almost double the recipe so that leftovers could be had the next day. The base recipe was good, but this is much better. :) My family loves it and always want more, and I serve it with a good crusty bread. It is a very hearty soup! Really delicious recipe and pretty easy to make! It was a huge hit with the family. This is a very good recipe. I would sauté the onions alone and parboil the potatoes until fork tender as they were a little too firm for my liking in the soup. 5 minutes suated with the onions was not quite enough for us but otherwise very good. First time I made broccoli cheddar soup and I used this recipe. Delicious! !